I don’t normally post about firmware updates, but this is a) quite a major one, and b) there are a lot of E-M1 users amongst the reader pool. Amongst other fixes to audio recording, the shutter mechanism is affected. Some cameras – mine included – are affected by a resonant shutter vibration specifically at 1/180s that causes a slight double image; higher and lower speeds are fine. The new firmware adds an option that switches “the first shutter curtain from mechanical to electronic to reduce blur caused by shutter impact”. In our initial testing, it appears to make a significant difference on two of the three cameras we have here (all of the workshop videos are filmed with them, we have a spare, and I shoot one myself). I first raised this issue to Olympus back in December; it’s highly commendable that they’ve listened, been in regular contact, and given us not only a solution, but a highly innovative one that doesn’t require sending the camera in. Kudos. Latest firmware 4.0 was made available today, and also firmware updates for many M.Zuiko lenses. Big list of improvements, but the most important one for me is the improved electronic first curtain modes. They now work up to 5fps and the shutter lag in single shot mode is noticeably shorter than before. Shutter lag and shutter shock were the biggest issues I had with this camera, so this is almost like getting a new camera. The focus bracketing is an interesting addition as well, but haven’t had time to play with it yet. Many improvements to video, but can’t really comment on those as I never shoot video. Ability to see the level gauges together with exposure warnings is nice. Overall a great update. There’s one downside though: the menus are more cluttered than ever. I really really hope they fix that for mark 2. After more testing I found that silent mode goes up to 11fps. So it’s 5fps with EFC and 11fps with full electronic shutter. I also found a menu quirk with the silent mode. If you have it enabled and go to settings menu, you can’t change the max auto ISO setting past 3200. You need to be in some other drive mode to do that. So confusing, why not allow setting max to what ever I want, even if some drive modes may limit ISO to 3200? It’s like if they prevented changing JPEG settings when shooting RAW only. I want the menus to set the baseline, I don’t want stuff greyed out because I have some other random setting temporarily enabled. I think it may have something to do with the readout speed of the sensor. I just got myself an Olympus e-m1. I noticed a very weird behavior on it. In S-AF mode the autofocus is really fast, I have no complain about that but in C-AF it is really erratic. During the initial stage if there is not enough contrast on the subject, sometimes the camera would jump all over the place to find the correct focus and the EVF would lag considerably. After it finds the target, it will then track smoothly. The EVF still lags a bit, but it is better than before. Sorry, my question was: is that a normal behavior? I know phase detect needs a lot of contrast in order to lock on, but the fact that the EVF/Live view’s frame rate drops really bothers me. Does it still do this with the EVF frame rate set to high? That also affects AF information readout. When the face detection is activated and there is a face to track, the frame rate is normal. It slows down when I am using a single point C-AF. Perhaps “stuttering” is more appropriate to explain this behavior. It sounds like you have Release Priority for Continuous Autofocus set to On? If you have, and use a single autofocus field and no Face priority, the shutter will not fire unless the camera detects focus in the focus field. No, release priority and face detect are off. I didn’t press the shutter fully as I was just testing the autofocus. I was using a single point c-af. In a well lit room during the night the EVF/LV was stuttering. Perhaps the lighting was less than ideal, but I wouldn’t call it low light. It was tested with the 12-40mm and 45mm. The 45 displayed the same behavior but much less. I don’t have much of value to say, because I have obviously not understood your problem. I thought you meant the firing frame rate was slower in C-AF, but apparently you are talking about the refresh rate in the EVF. I have nothing to say to that, other than I hadn’t noticed. But I don’t use C-AF much, maybe that’s why. I’m very pleased with the Ver 2.0 update on the movie audio recording features. You can turn off the limiter, set a level and read the level meters for any overdriving. I mentioned this as a wish-upgrade to Olympus on this issue and they listened?? (I’m sure I’m not the only one) !! awesome. Hi. The ability the change the tone curve in the Olympus OM-Ds can help in difficult light situations, and get proper exposure in both shadows and highlights, right? Is it basically what it is for, and is the result baked into the RAW files? Thanks! No, that’s for JPEGs only. The manufacturers seem to be pushing JPEGs because almost none of the corrections are applied to RAW files, or if they are, they’re botched and baked in a lossy way (look at Sony’s NR and data compression). do you know if the omd em 10 doesnt have the shutter shock problem?? I couldnt find any trustworthy, reputable source…. If you dont know what do you guess em10 different sensor so probably no shutter shock??? No idea, haven’t used one. It’s the shutter unit not the sensor that causes (or doesn’t cause) the problem. The E-M10 has a somewhat more damped shutter than E-M1, probably because the maximum shutter speed is “only” 1/4000. I haven’t done any formal testing, but so far I haven’t noticed any problems. Admittedly, I mostly use 17mm and 25mm focal lengths, so shutter shock would not be as evident as with longer focal lengths. However, since firmware version 1.1, the E-M10 has the same 0 sec anti-shock mode as the E-M1, so this should mostly eliminate any shutter shock problems. Overall, I really like the E-M10. My only complaints are the placement of the power switch, flash switch and EVF/LCD switch. The power switch is quite easy to toggle accidentally, it should be on the front or top of the camera. The flash switch and EVF/LCD switch should swap places, current placement is not very good ergonomically nor is it very intuitive. The EFC 0s delay update solves the shutter shock problem, but takes away drive modes. So if you can live with single shot – no bursts – at under 1/250s or so, then the E-M1 is fine. Terrence: When you choose between the E-M1 and E-M10, the shutter is among the least significant differences. The E-M1 is over double the price of the E-M10, so think hard if you need the extra features offered by the E-M1. The main advantages of the E-M1 really boil down to weather sealing, better EVF, OSPDAF for full 4/3 lens support, better grip, additional battery grip available, accessory port, mic jack, external flash socket, some additional external controls and 5 axis stabilization. 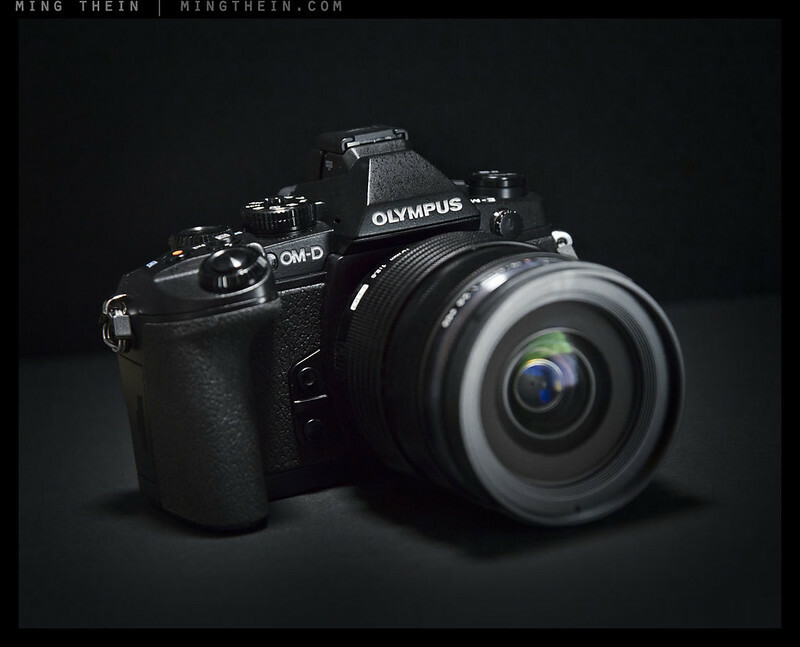 I’m happy to see Olympus supporting the E-M1 and actually introducing real improvements. The 0 sec anti-shock mode in version 1.3 is a great update, I’m really hoping they figure out a way to make it work in burst mode. The AF speed improvements in version 1.4 are also very welcome, although I’m sure 4/3 lens users are in the minority. The Zuiko 50-200mm SWD is now almost on par with native m4/3 lenses in AF speed. There’s nothing on the horizon for m4/3 that would offer similar focal range and aperture range, so this lens is a keeper. I’m hoping future firmware updates would allow more freedom in customizing the Fn buttons, control dials, mode dial and 2×2 lever. Personally I find the 2×2 lever on the E-M1 confusing, I sometimes accidentally adjust ISO/WB while trying to change exposure settings. Now I only use that lever to toggle AF/MF. I would like to be able to change control dial functions the same way as with the E-M10, where I can program Fn1 to change the control dial behavior to ISO/WB and have it switch back to normal automatically after the selections are made. Will there be such an upgrade for the EM5 too, or has there been one before. It doesn’t need it, so I’d imagine there won’t be one. Thanks Ming, I thought it didn’t as I have never encountered shutter shock, but thought maybe things could be improved. Always appreciate your knowledge and willingness to help. Is the consensus that the Anti-shock feature should be enabled in drive modes, and the timing set to 0? Would you just leave it set that way all the time and it applies the modified shutter behavior when needed? I’m still not clear on whether or not this is a set it and forget it thing or if it needs to be actively managed. thanks. I’d leave it on all the time, except it doesn’t work with the drive modes. Anti shock 0s is only possible in single shot mode. Hi Ming – You say your shutter shock is present at 1/180s. This is probably going to sound monumentally dumb but I can’t get my E-M1 to shoot at 1/180s – in both shutter priority and auto it jumps straight from 1/160s to 1/200s. What am I missing? 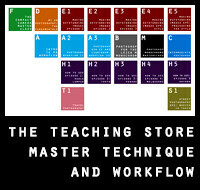 Select half steps for exposure control. You see shutter shock at 1/160 and 1/200, too. I know the conversation here has centered around shutter shock, and rightly so. I did have a question though regarding any other results of the firmware update. Ming, have you seen any strange behavior/bugs as a result? At times I find that the when focusing, the EVF ‘blacks out’ for a split second. This doesn’t happen all the time but once the behavior starts, I either need to turn the camera off then on, or need to do a battery pull to rectify it. Have you noticed this? Not on my camera. The only downside is no EFC with drive modes. Hi Jay T. I’m not sure if this relates to your problem, but I found on my EM5 with both grips attached (front and battery grip set), I started to see a blackout and resetting of my setting to perhaps the last time I switched on or last time it woke from sleep. I eventually realised this happened mostly when I bumped it, ie. moved my monopod/tripod and put the monopod/tripod down again, or if I moved abruptly handheld. I FINALLY realised as my grip buttons & dials started to misfunction, that the contacts between each grip layer were well, losing contact, so it would lose contact with the grip battery and momentarily switch off and on again and recover settings (as I always prioritise grip battery use first, then camera battery). So I took out the grip battery or I took off the grip and no more blackouts/resets. Fortunately the camera is not faulty at all, but the 2 layers of grips is not a longlasting design. Perhaps this problem is affecting you but with your EM1 grip. Try to clean the contacts. To date my EM1+grip function perfectly and the extra weight balance of the battery grip meant that I have not experienced noticeable shutter shock even before this update. Sorry to veer off topic, but has anyone else had this grip contact problem and any solutions? My camera and grip were bought in other countries and warranty is over anyway. The nearist service centre is across the ocean. You’re not the only one; I believe one of my students locally experienced the same thing with his grip…it was replaced by Olympus in the end. I do not have a grip so that cannot be the cause of the problem. I have not noticed this behavior recently but have not shot for an extended time with it since my last trip in April to New York. While on that trip, I would leave the camera on and I noticed that it happened more when being awoken from sleep. Usually a simple ‘Off’ then ‘On’ fixed the issue, but at times, I needed to pull the battery. There were a few occasions where this method did not work and I needed to pull the battery. I have a few trips coming up, including one to Joshua Tree so I will be on the look out for this issue then. Is there any explanation/rationale as to why high- and low speed continuous modes are displayed in the SCP (and the menu,) but are grayed out and not selectable? I often shoot three shot bracket bursts (not HDR mode) and it would be nice to have the anti-shock feature enabled. Maybe I’m missing something. I’ve spent considerable time in the menus and trying different combinations of settings but haven’t discovered a way to activate (“de-gray”) the continuous modes. Why show them as options if they can’t be turned on? No, unfortunately not. I’ve been in touch with Olympus over this – apparently there is no way to enable drive modes and anti shock, which effectively reduces this camera to a single shot device. This is fine for most photography but not action or reportage. On further reflection this makes sense as there needs to be -some- time lag involved for the shutter/sensor to close from live viewing mode before it opens again for exposure. There is a workaround: by setting the anti-shock to 1/8 second, the continuous modes are enabled. It’s not nearly as fast as the drive is in its normal mode, but for non-fast moving situations it works acceptably, still allowing for the bracketing workflow I described above. I wonder what the practical limit is on the shortest lag that would allow for continuous shooting + anti-shock? Maybe it’s 1/8 second… 😉 If not, I guess we can always hope for a shorter option in a future FW update. That 1/8s delay is going to be seriously annoying when trying to time action. Especially when you’re used to DSLRs that have 35ms lag, compacts with virtually none…250ms is an eternity. Now that this problem is recognized in the E-M1, and knowing that the Sony A7R has a similar issue, perhaps we are witnessing the emergence of a new set of challenges in shutter design for mirrorless camera engineers? My question is why we haven’t seen this before in entry level lightweight DSLRs, for instance – nothing has fundamentally changed; it can’t be the IBIS system since the A7R doesn’t have one. I’d imagine that if anything something like the D4 would suffer from even worse shutter vibration because of the speed of its moving components – no sign of it. The main problem is in the small weight of the cameras. The mechanical shutter induces a substantial shock in relation to the weight. On bigger cameras the weight absorbs most the shock. Attach a weight of about 500 g to the tripod mount of an E-M5 and there is no shock-induced blur anymore, even at 1/80. With that weight attached the IBIS can concentrate on its main task, which is to correct for user-induced camera movements. It does so in a superb manner. I like to compare the effect of shutter shock on IBIS to hitting a tripod leg during exposure. On small DSLRs the shock-incuded blur is genearlly attributed to the mirror slap (i.e. the usual suspect), so the specifics of shutter shock aren’t further investigated. Shutters and mirrors are not all born equal, and that they are smoother in some cameras, regardless of size. Further, entry level DSLRs are generally not very responsive, which might well be due to an in-build release lag destined to reduce shock. My guess is that the makers of mirrorless cameras are now in a race to introducing fully electronic shutters, and that the variants of first ecectronic shutters we see now are just an intermediate step. I never got shutter shock on my E-M5 – maybe I was just lucky – but all of my E-M1s have been inconsistently problematic. The problem is I see the shutter shock even on a tripod – I suspect the floating sensor is partially to blame, because even though the body is rigidly anchored, the imager isn’t and is therefore still susceptible to shutter shock. Have you sent your third body back yet that still had a problem to get it exchanged? I assume the other two bodies are still ok since the firmware update? All working as expected now. I have exactly the same problem as Dave. Shutter shock is significantly reduced once 0 sec antishock is set on, and I am very happy about that, as it eliminates my biggest problem with the E-M1. I can clearly see the difference between antishock mode selected and not selected. Antishock 0 sec also works much better than antishock 1/2 sec, which I used for contemplative photography. But even with antishock set to 0 sec (and of course antishock selected in the drive mode) the curtain still moves before the exposure is made, which isn’t what I had expected from an electronic first curtain. One can check this by removing the lens from the body, dial in a long exposure time in manual mode, e.g. one or two sec., and look at the sensor when pressing the shutter release. On my camera the first curtain can clearly be seen in action. That’s odd. I’m going to check it on mine when I return home tonight. Quite a few others have reported the same. Any ideas yet? Wondering if Olympus are somehow managing to do electronic first curtain differently to anyone else. I’m certainly no expert on cameras, but I think it’s quite obvious that Olympus has done something unusual, namely putting an electronic first shutter curtain into a shutter that was designed to be wholly mechanical. I believe that’s why the first (mechanical) curtain still fires – there’s no way to make it not fire; that would require a shutter that was designed for not firing the first curtain. So here is what I (and several much more knowledgable persons on the net than me) believe is happening: The first curtain closes and opens again immediately. That is the action that is generally belived to be the main cause of shutter shock. And it’s the same action as normal firing with no anti-shock option. After the curtain is fully open again, the camera waits for a short time – 30 ms. is the number cited by most, and then the electronic first shutter curtain starts (draining sensor cells row by row in the same direction as the second curtain is going to move when it closes). In the fully mechanical anti-shock mode, the first curtain closes and then waits some time (from 250 ms. to several thousand ms.) before opening. That obviously takes care of vibration caused by the closing, but not by the opening. If 30 ms. is long enough for the vibrations from the opening to die out, they must be much less than those from the closing, otherwise why would 250 ms. be necessary in the old anti-shock mode? If this is how it works, such an electronic first curtain could in principle be be combined whith any electronically controlled mechanical shutter. The limiting factor must be the sensor, and maybe the clock frequency of the in-camera computer. The electronic “curtain” must imitate the motion of the mechanical curtain that finishes the exposure. And that motion is not constant, but accellerated. Maybe it was just a coincidence that it was possible with the E-M1 sensor. Such an “electronic shutter within a mechanical one” could also, theoretically, be made to work with even shorter exposures than the minimum synchronization time. But if there is any inaccuracy in the way the electronic “curtain” imitates the motion of the mechanical one, that inaccuracy becomes increasingly critical as exposure time decreases. And as the purpose is to get rid of shock in exposures longer than 1/320, not making a silent shutter, that could be the reason Olympus has chosen to rely on fully mechanical shutter function for short exposures. That would make sense, actually. Here’s my question though: why can’t we have this *plus* the drive modes? Electronic shutters can result in rolling shutter artefacts if they can’t read out the whole frame simultaneously. I don’t know why the electronic first curtain can’t be combined with serial drive modes in E-M1, and I haven’t seen any plausible explanation. As to rolling shutter artifact problems, all focal plane shutters are rolling at shutter speeds beyond shortest flash sync time. For E-M1 that means exposures shorter than 1/320. But it is not a bigger problem with an electronic first curtain than with a fully mechanical shutter. The problem with a fully electronic rolling shutter is that the speed of the “curtains” is determined by the read out capacity of the sensor. And reading out is a much slower process than draining the cells, therefore the electronic second curtain is moving at a snails’ pace (comparatively) – and of course the first curtain must move at the same pace. I believe current fully electronic rolling shutters in cameras with comparable sensors are so slow that the maximum synchronization time is 1/15. That’s why Canon and Sony use hybrid shutters with electronic first curtain and mechanical second curtain. The problem with that is not the speed of the curtains, but making the two curtains move in exactly the same way. That would make sense. The GM1 for instance has full electronic shutter and an abysmal 1/50s sync speed.:. But the GM1 still uses a hybrid shutter – electronic first curtain, mechanical second curtain – for exposures up to 1/500. It only uses full electronic shutter at faster speeds, and at the cost of rolling-shutter-distortion. At least that is what I deduct from this review: http://www.camerastuffreview.com/panasonic-camera-review/review-panasonic-gm1. Another source, http://www.imaging-resource.com/PRODS/panasonic-gm1/panasonic-gm1TECH.HTM, gives a very good and instructive explanation of what a hybrid shutter is and how Panasonic made it work. It seems they traded curtain speed for precision and miniaturization of the shutter. By using a stepper motor for the second curtain in tandem with an electronic first curtain, they can match the movement of the two curtains much more precisely than Olympus could hope to do in E-M1, where they have to try to imitate the movement of the spring-loaded second curtain with the electronic first curtain. Therefore, GM1 can safely use the hybrid function for “slit exposures” where the second curtain starts closing before the first curtain is fully “opened”, while Olympus wisely refrains from that and uses traditional, fully mechanical operation for “slit exposures”. So in this case the abysmal sync time is caused by the more precise, but slower, mechanical second curtain. And still, the all-electronic shutter must have even slower curtain speed. Otherwise, why use a mechanical second curtain at all? It’s confirmed by the camerastuff review, which shows rolling-shutter-distortion in a picture with all-electronic shutter and none in a picture with hybrid shutter. Also we get an extremely small camera with an extremely quiet shutter. 1/60 sync time was standard in SLRs until some 20 years ago (ages, I know, but we made do with that). And the shutter technology is really innovative. I’m sure they will work determinedly to improve the curtain speed, and if they succeed in that, the stepping motor technology might prove very promising for the future of serious hybrid shutter technology. Unless of course someone invents true instantaneous read-out and makes shutters obsolete before that. So what if this firmware update is not actually an electronic first curtain, but instead just a modification to the IBIS to accuratly counteract the vertical vibrations that occur in the first moment of the exposure, and then returns it to function as the IBIS would normally? I don’t think so, because that shouldn’t interrupt the shutter curtain or sensor readout and allow for continuous shooting…which the update does not. I did the upgrade on the E-M1 and with 0 sec set to on, the camera still appears to fire the first shutter, if you set to slower speeds like 1/4 sec, you clearly hear the first and second shutter noise. So even though they call it electronic, there is something mechanical going on it seems. However, it does seem to work, as I had a lot of shutter shock in doors with shots between 1/80 to 1/160 which was exactly the speed I was thinking IBIS was supposed to be helpful for. So I am happier, but don’t really understand why the shutter sounds the same with and without the option set. My Panasonic goes quiet on electronic setting, so I thought the Oly would at least have a quiet first curtain sound. Does anyone else notice this? Yes – even though the custom function is set, you need to select the antishock mode in the drive mode options from the SCP. Yes I did, and I reported as much in my review of that camera. The D800 needs to be handled with care, but it won’t give you shutter vibration on a tripod. I upgraded my firmware last evening and will try to test it over the next few days at the specific shutter speeds you mention. I have only just upgraded from Pen bodies with primes and was therefore putting the slight image blur down to my technique rather than the camera body. The E-M1 with the 12-40 is noticeably front heavy when compared with Pen + prime and therefore I was starting to think my technique was sloppy. I will continue to check this blog for any updates on your experiences and findings Ming. Any word from Olympus that they are going to be able to produce a similar Firmware update for the E-P5? I would think it’s the sensor that would be the limiting factor. Clearly, the camera is reading the image data rapidly in liveview mode, the question is whether firmware alone is enough to clear down the pixel sites and scan the sensor quickly enough to emulate a mechanical shutter. It seems like Olympus confirms that the E-P5 will be updated too. Maybe some more pressure will help to get it released quickly. I have a Oly Pen E-P5 and notice this shutter vibration at 1/160 in particular. One way to address it was using the 1/8s delay anti shock but i find i don’t like the sound of the shutter with that mode on. Just the other day i found out that if i gently hold and squeeze the left bottom and top plate of my camera with my left hand while actuating the shutter this resonance vibration goes away. You can actually feel the vibration being dampened. Just my quick and dirty! It seems your bad unit needs a visit to the service center or a replacement. It’s already been swapped out twice. I think it might be a case of third time lucky! Yes, the internet seem sot be abuzz about this firmware update. Do you know if there are any downsides of an electronic first curtain? I know that all electronic shutters can show rolling effects under the right (or perhaps the term is wrong) circumstances, but I was not certain about hybrid shutters. On a side note, they must have released this update very early this morning, because I updated an E-M1 late last night (GMT-8), before they released the announcement, and it is only showing v.1.1. It was late last night for me. The A7 also has an electronic first curtain and I don’t recall seeing any issues with rolling effects in stills. Thank you for the prompt reply, Ming. It sounds like there is minimal downside to the upgrade. I usually wait a bit before doing upgrades, but I have an event later this week, and would like to use the E-M1. Normally I would not do a new upgrade before an event, but it might prove useful. This is a new (factory refurbished) body for me and I cannot say if it was previously exhibiting any problems, so upgrading the firmware is a bit of a toss-up. If it is, you’ll see at 1/180s. Much appreciated. I am in the process of changing from an E-PL5 to an E-M5 and an E-M1, so I have enough variables that I am trying to nail down. Love the controls as they remind me of my beloved D300, but there is always a learning curve with any new gear. Thankfully, at least I am familiar with that maze that Olympus calls a menu system. Looking forward to shooting this event as I usually shot performances with a D300, and this will be my first big event with Olympus gear. Hi Ming. You say two of the three cameras. What is happening with the third one or have you not had a chance to test it yet? I have been in contact with Olympus since October sending photos over and getting other people around the world to send photos in via the same source in Olympus Europe. He has been forwarding them on to Japan. I had problems with everything from about 1/30 to 1/320 on a third of all photos taken on a variety of lenses. I was quite amazed they could even introduce a feature like this onto an existing camera without having to send it in. Guessing that the option to turn it on was there from the start? I don’t think the camera was designed for electronic shutter – I suspect it may introduce artefacts on moving objects, but we’ll have to do further testing to see. The third camera is still suffering from shutter shock/ double images/ etc. No improvement after firmware update, so it appears there may be another issue at play here. Yes that seems to effect only a few cameras and I have already pointed out to Olympus that I do not think it is shutter shock. Maybe an over active I.S even when switched off, trying to much to compensate for shake. No consistency to it either like shutter shock.